GOING to work is a bad idea…in the sense that reporting to a certain place at a pre-determined time for an 8-hour shift as a force of habit from the industrial revolution (now decades old) is a bad idea. 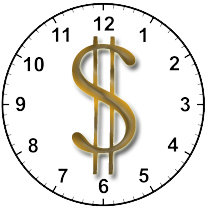 That, and the timeless admonition that ‘TIME IS MONEY’ makes for a fascinating article by Chuck Blakeman. I don’t know Chuck Blakeman, nor have I read any of his articles or books before…but he’s on my radar now. If nothing else, read his article: The Industrial Age is Dead – Time is the New Money to bask in the knowledge that most of today’s voice actors are well onto this new paradigm, and probably lead the pack in most respects.